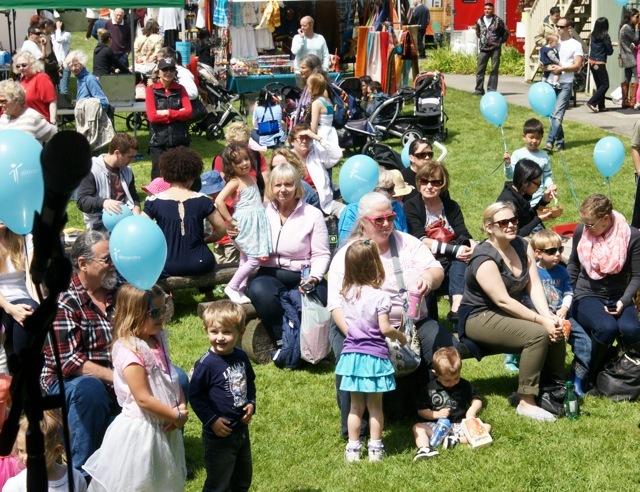 The 45th annual Alexandra Festival is coming Saturday May 25 from 11am to 5pm! A day of fun for the whole family, Alex Fest features an amazing line-up of entertainment, children’s activities, market vendors, and food trucks. Admission is by cash donation. This year’s entertainment includes two full stage lineups featuring three local headliners, the White Rockers square dancers, Tora Budokan Ju-Jitsu demo, and the ever-popular Norden the Magician. We are grateful to the Washington Avenue Grill who will be sponsoring a local headliner. Our vendor market will have 45 artisans, crafters and sellers spread across the grounds. The Dining Hall will play host to Science World’s road-show and back by popular demand, the Lodge will feature a snack shack and Beer Garden. Scroll down the page or Email info@alexhouse.net for information on vendors, volunteers, sponsorship and media. Artists for a Change returns to Alex Fest with a juried exhibition of visual, literary, and performing arts. "Our Common Future: Visions of Hope in the Midst of Crisis" is a multimedia response to climate change and climate activism, distilled through the eyes of twenty adult and youth artists, authors, and performers in our community. The event is funded in part through support from the City of Surrey. The creative output is intended to inspire visitors to consider becoming advocates and activists for positive social change in our community. Artists for a Change is an initiative funded in part by the Vancouver Foundation. WOW!! Alex Fest is 45 this year! Since 1974, folks from around South Surrey, White Rock, and beyond have flocked to Crescent Beach to enjoy family friendly entertainment, activities, food, and more! I want to invite you, your family, and friends to join in the fun while helping to make the festival happen, by volunteering an hour or two....or several! We literally could not put on this event without the support of our tremendous team of Alex Fest volunteers. Whether it's greeting visitors, helping the entertainers, doing crafts and face-painting with the children, or helping with the set-up, take-down, and traffic control....volunteers are a welcome and essential part of the day. Signing up is easy. Just click this link: https://volunteersignup.org/CWHEJ. You'll be able to choose your shift(s) and activity or activities.Sign up for one, or sign up for several, just please make sure your shifts don't conflict with one another. This is a great opportunity for youth, for seniors, for newcomer Canadians - people of every age, ability, and background are welcome! For more information, contact Neil at communityprograms@alexhouse.net, or 604-535-0015 ext. 236. We are noiw accepting Vendor Applications. Please read the Vendor Information Letter first. Download the Vendor Application Form here. View last year's photo gallery here. While Alex House continually does its best to mount this historic festival, the success of this event relies heavily on the support of the community it serves ,which means WE NEED YOU! Whether you choose to join us as a Site Sponsor – providing funds which will allow us to provide proper staging, parking and accommodations for our performers and festival-goers - or wish to support other elements of our Festival, we have many areas which require donations (cash and in-kind) sponsorship, and volunteers. For more information on donations and sponsorships please email rfrederiksen@alexhouse.net or review our sponsorship package here. For general information email info@alexhouse.net or call 604-535-0015.